A 103-year-old orca whale named "Granny" has been making some serious waves this week, after she was spotted traveling for 800 miles off the coast of Canada with her pod. The centenarian, also called J2 by researchers, has not only astounded people with her age, but by disproving SeaWorld claims that orcas typically live up to 25-35 years in the wild. 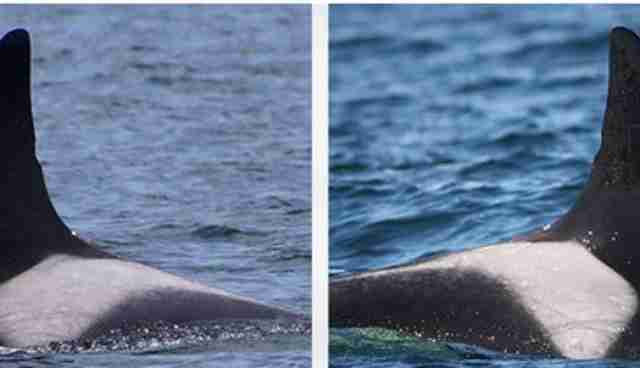 So how do researchers know that this particular whale is Granny? Well, it turns out that like humans (and all other animals), each orca has distinguishable physical characteristics. The most important identifier that researchers use is a whale's dorsal fin. Each whale has a unique dorsal fin identified by its slight variations -- shape, width, height and whether or not it curves to the left or right. Whales can also be identified by a "saddle patch," whitish-grey patch of pigmentation on their back, just behind the dorsal fin. Each one is different, like a human fingerprint. 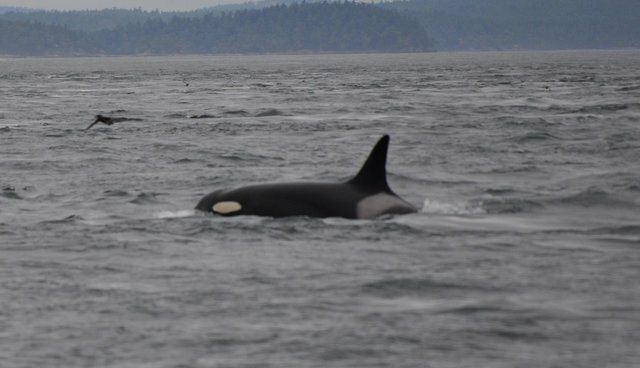 "J2 or "Granny" is identified by both her saddle patch and her dorsal fin," said Erin Heydenreich, a field biologist with the Center for Whale Research. "J2 has a distinctive nick right in the middle of her dorsal fin which makes her hard to miss." I've seen Granny in these parts about 1,000 times over 13 years. She looked really healthy and playful. It was good to see them foraging, finding fish here. Her age is actually more of an estimation. In fact, Granny is even more well-known, because she was captured in 1967 but was deemed too old for marine parks, and let go. Granny belongs to the most studied group of orca whales in the world. She was first identified in the 1970s, when scientists estimated that she was born around 1911 based on the age of her offspring. According to Ken Balcomb, the center's director and a researcher who originally studied Granny and her pod, the whale's age is an estimate based on her size, and the fact that she didn't have calves when she was first studied in 1976 (when she was estimated to be at least 40 years old). "We have 90% of the population precisely aged now, and the age structure will be completely known within a decade or so," he said. "We have very good photographs of J2 "Granny" since 1967 and do not doubt that she is very old." "Sea World, of course has never believed us; but, anyone with eyes can verify the whales' age."